Posted at PIA, for the first time ever,Philippines will now have its own supercomputer acquired from the tech-giant IBM via donation.The supercomputer is called" IBM Blue Gene", expected to arrive soon in the country and will be setup at the University of the Philippines under the DOST’s supervision. The supercomputer will primarily be used to support the Philippine government’s priority R&D projects focused on reducing poverty, improving government processes, and tools and enabling smarter weather management, as based on the National Economic Development Authority’s Medium Term Development Plan. One of the priority projects to use the IBM Blue Gene supercomputer is the DOST’s Nationwide Operational Assessment of Hazards or Project NOAH, the government’s flagship program and integrated information system for disaster mitigation and climate change. 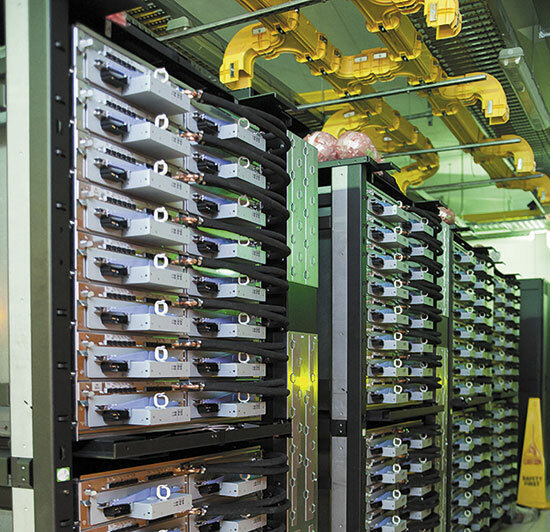 The IBM supercomputer will enable local scientists to process and gain insights from the massive data collected, to produce faster, more accurate forecasts and improve localized weather prediction for the country. Technically, this gigantic machine is capable of processing trillion of operations per seconds which ideally used for climate modeling and weather prediction, nuclear energy, and research and development (R&D) for life sciences, such as gene sequencing and drug discovery. As of this time IBM flagships 3 models of Blue Gene supercomputers which belongs to world's top 500 fastest; the Blue Gene /L, the Blue Gene /P and the Blue Gene /Q.